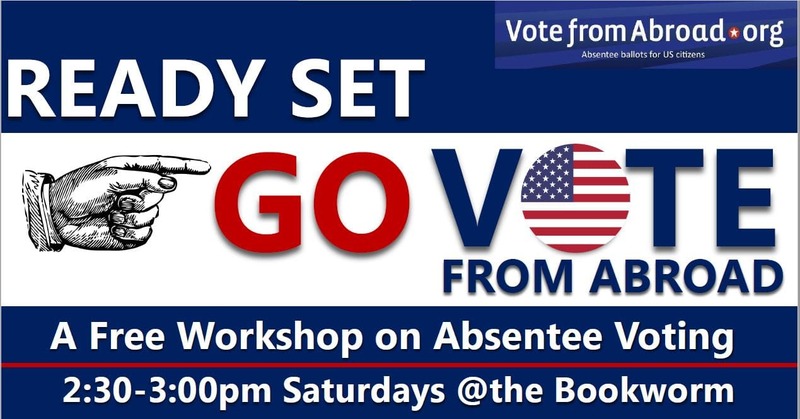 Free workshop on absentee voting for Americans. Extended hours for voter assistance: 3-5pm. Complete the required application to request your absentee ballot for the November 6 midterms. Learn about your state's deadlines and requirements for submissions. Find out what to expect in the voting process and how you can protect yourself from being disenfranchised. Sessions are 30-minutes and limited to 10 participants per session. Drop-ins are welcome during the extended hours for voter assistance 3-5pm. Questions? Contact DA China Secretary, Elizabeth Jenkins - call/text/wechat: 186-1236-5524.